Hello, my name is Louis Albert. I use this Web Page to communicate with the world. In May 1995 I had a severe stroke leaving me with "Fluent" Aphasia. Because of the stroke and the resulting aphasia I have trouble reading, WRITING and understanding.. Between Dragon Systems, Inc. and WordPerfect I am almost able to communicate in writing! I have always enjoyed and used photography. I hope my "pages" are both enjoyable and information. The quotes and links give you insight to my thought processes. 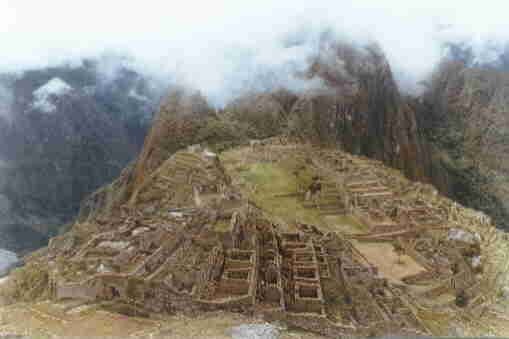 "thought provoking quotes"
Be sure to see Machu Picchu! follow the many links to learn more! The idea of a internet page is never done! F/Stop Camera Corp. gave a grant to The Institute for Idiotic Pursuits! I am the founder. This is part of the story of Lou and F/Stop Camera Corp.
Akron and Cleveland information with the many newspapers, radio stations and television stations. The Capitol of Real America: Ohio Rings and other rings! The Internet is wonderful because you look from here to here to here and find many things. I often find links and pages that are interesting, but they don't fit the story 1 now don't fit the story-2 . So I decided just to put a link of pages that I think are interesting. Please let me know if there is a page that you find interesting and I may link it too. Site Map All external Links A copy of links only! A copy of over 921 external links. International Federation for Information Processing (http://www.ifip.or.at/)is a non-governmental, non-profit umbrella organization for national societies working in the field of information processing. It was established in 1960 under the auspices of UNESCO as an aftermath of the first World Computer Congress held in Paris in 1959. Today, IFIP has several types of Members and maintains friendly connections to specialized agencies of the UN system and non-governmental organizations. Technical work, which is the heart of IFIP's activity, is managed by a series of Technical Committees. Each of these committees has two major types of activities - Events and Publications. "I've been wrestling with reality for 35 years and I'm happy Doctor; I've finally won out over it." The links in my Web Site are here for information and entertainment only! All photos in my web site are my property and cannot be used for personal gain without my consent and without credit!